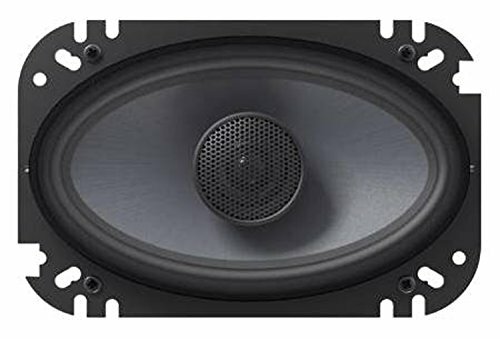 4 x 6 car speakers are known to be notoriously difficult when it comes to producing quality audio at all volume ranges – if you’re looking for a 4 x 6 speaker, it can be tough finding speakers that are up to scuff. The experts at Dig My Ride have taken the stress out of extensive research and testing by providing this thorough guide on the best 4 x 6 speakers on the market today. Whether you’re looking for something state of the art or inexpensive speakers to replace your current unit, we have something for everyone on this list. Keep reading to check out the best 4 x 6 speakers available today and why you should add one of these to your next audio upgrade! 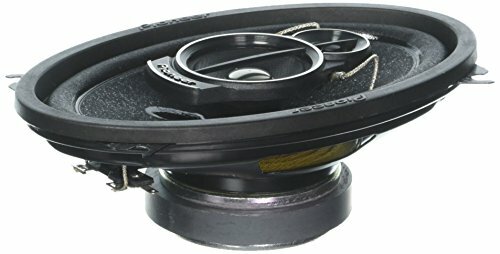 How Do I Buy One Of These Speakers? 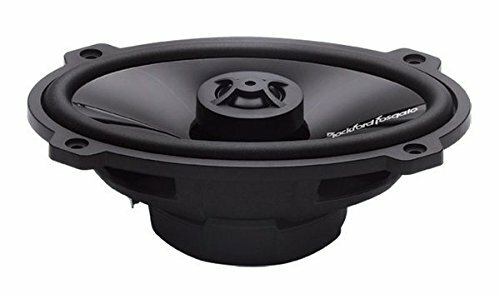 When it comes to 4 x 6 speakers, there aren’t any out there better than the Rockford Fosgate Punch P1462 speakers. For maximum power and audio precision, these are clearly the top choice. 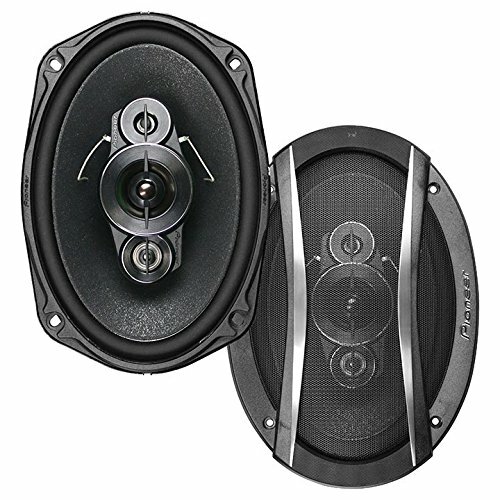 Known for producing quality audio technology, Rockford Fosgate is top of the line when it comes to car speakers. You really get the whole package when you purchase these speakers – for precision sound control that everyone will notice, these are the speakers for you. As we mentioned, these aren’t used for blowing out from maximum volume. With a respectable 70W, these speakers excel at projecting clear, undistorted sound. We love the incredible frequency response of 90Hz – 22kHz and the sensitivity of 90dB. These speakers really do pack a punch and provide incredible audio range. Rockford is known for pushing the envelope on what’s possible in a car speaker, and these are the perfect example of that. These classic speakers are going to last a long time and will provide countless hours of superb audio. 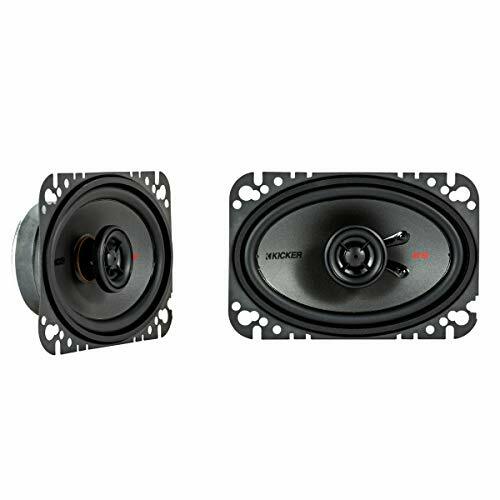 Coming in at a close second on our list of top speakers is the Kicker KSC4604 Coax Speakers. While still on the upper end of the price range for 4 x 6 speakers on this list, you’re going to get incredible quality with these speakers. Featuring half-inch tweeters and 4 Ohm impedance, you’re getting top of the line with Kicker speakers. These Kicker speakers are another example of true audio craftsmanship – rather than focusing on pure raw power, these speakers are designed to focus on sound quality and control. 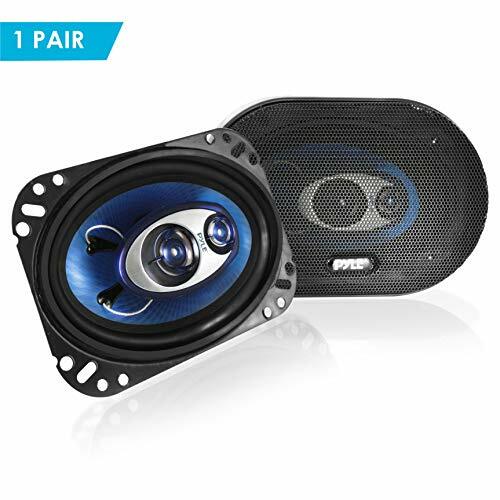 They’re known to distort above 75W, so if you’re looking for something to blow the roof off of your car, these aren’t the speakers for you. But if you’re looking for high-end speakers with exceptional sound quality, definitely test these out. The half-inch silk tweeters allow for smooth sound that everyone will enjoy. Pair that with a frequency response of 50Hz – 20kHz and you’ve got some killer speakers! For one of the best speakers on the market, check out the Kicker KSC4604 speakers today. When you think of JBL, you’re probably thinking of high-tech audio in their many other technology applications. You’re getting that same high-quality that JBL is known for with these high-end 4 x 6 speakers. We especially love the JBL speakers for their oversized cones, meaning more air is moved to produce a better bass. If price isn’t a concern for you, then there really isn’t a wrong choice between the top three on our list. In fact, it was very difficult to rank them since they are all so high-quality, offer excellent audio quality and control, and are similarly priced. Featuring advanced audio technology and superb durability, the JBL is a fantastic option for any audio enthusiast. They also have lower impedance than most other speakers, meaning these make the most out of your car’s electrical output. We only put this as third on our list since they’re slightly pricier, but they’re really a great choice for any product. For one of the best car speakers on the market, you can’t go wrong with the JBL. Number four on our list brings us into the mid-level speakers, but they’re still very solid, reliable speakers that are going to get the job done. The Pioneer TS-A6986R speakers are just that – solid, powerful speakers that really do exceed expectations. Clocking in at 600W, you’re getting extreme audio power when you purchase these! For great all-around speakers that are definitely going to get the job done and provide a noticeable improvement over your stock speakers, these may be just what you need. We did notice that some consumers had to make some modifications to get these speakers to fit, but if you’re not afraid of a little customization, these can fit a wide range of vehicles! We also noticed excellent sound quality at lower wattage use, largely due to the soft-dome tweeter with wave guide. We really recommend these if you’re looking for some killer speakers that won’t break the bank – for awesome power and max output, these are a must! Pioneer is so great at making solid speaker systems that we couldn’t just limit our list to one – very similar to our previous Pioneer on the list, the TS-A4676R is geared toward someone who is looking for better audio control rather than sheer power. At 200W, these provide excellent control and great quality that we all know and love with Pioneer speakers. We really love Pioneer, which is why we wanted to add two 4 x 6 speakers to our list of top options. This speaker is relatively similar to the TS-A6986R, with a focus on control and audio quality at lower watts. If you want something that you can really push to the max, this may not be the speaker for you. However, it gets fantastic reviews and is known for its quality and lasting durability. Pioneer uses a rigid construction with viscous materials to produce exceptional sound response that everyone will notice. Check these out if you’re looking for a solid mid-level upgrade at an affordable price. Last but certainly not least on our list is the Pyle 3-Way 120W PL463BL. We wanted to be sure to include a quality entry-level speaker that is great for beginning audio enthusiasts, and that’s exactly what this is. With 240W per pair and a lower ohm than average, you’re going to make the most of your car’s system and really produce some great sound. We really love these speakers and always recommend them for someone just starting out with audio upgrades – the price really can’t be beat for what you’re getting. Be aware that they are known to have a shorter lifespan and are susceptible to blowing out, but they’re perfect for replacements and starter projects. There’s a lot that goes into a high-quality speaker, and there a few things that you should consider when purchasing one for your vehicle. Price is always important when you’re working on a new project – while the price doesn’t make a speaker better when it comes to audio, it’s an important factor for any purchase. We always strive to provide a wide range of prices for our recommendations. Whether you’re looking for something top of the line without a budget restriction or something entry-level that won’t break the bank, there’s something for everyone on this list. This is probably the most important factor when choosing a speaker. You don’t want to choose one with low sound quality! Having a speaker with excellent sound control and distortion control are two things to look for when purchasing a speaker. Some speakers provide excellent power output but don’t have great distortion control – it’s hard to control distortion at 600W. It really just depends on what you’re looking for in a speaker! Your speakers are probably going to be pushed to the max, so it’s important that you pick a speaker that is long-lasting and durable. Check reviews and specifications for high-quality materials that are going to withstand the test of time. In each of the product summaries, you can simply click the product link and you’ll be taken straight to the Amazon product page where you can make your purchase. There are a lot of great speakers out there, so many that it can really be overwhelming. Just Googling 4 x 6 car speakers brings up countless lists and product pages, which is why the experts at Dig My Ride took the time to create this extensive 4 x 6 guide for consumers just like you. We love everything that has to do with cars and want to share that passion with you. We hope you enjoyed this guide – now get out there and enjoy your new speakers!